As 2017 draws to a close, I’d like to say what a great year this has been in the Vocational Education and Skills portfolio, with a number of terrific achievements that we should all be proud of. We saw the launch of the new VET Student Loans, replacing the ill-fated VET FEE-HELP scheme. Students now have greater protection, with VET Student Loans focusing on addressing skills shortages while restoring the reputation of Australia’s vocational education and training (VET) system. I am especially proud of the Skilling Australians Fund, which we announced in May. We’re investing an estimated $1.5 billion dollars over the next four years to work with our state and territory government colleagues to significantly boost apprentice and trainee numbers in priority areas. We also announced the Industry Specialist Mentoring for Australian Apprenticeships, to support people to complete their apprenticeships and traineeships. Sometimes even the most talented and motivated apprentices need support and encouragement to finish their training. The industry specialists will boost retention and completion rates by providing early intervention mentoring support for up to 45 000 apprentices through the crucial first two years of training. This initiative will be targeted towards industries undergoing structural change. 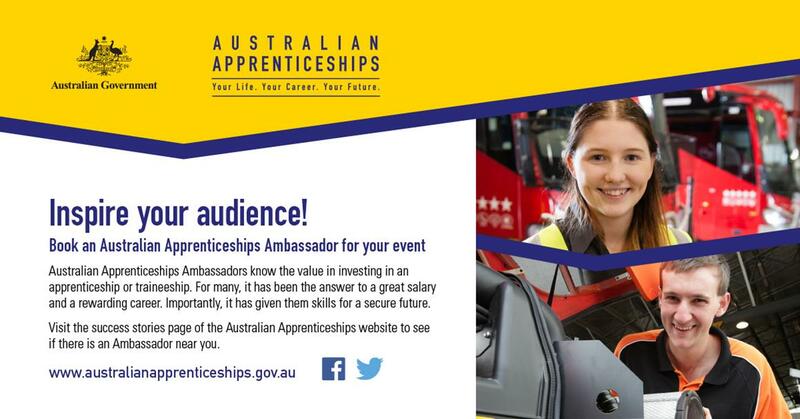 And we’ve signed up another 170 VET Alumni (including Australian Apprenticeships Ambassadors) to help spread the word about the fantastic opportunities and array of careers available for those who choose to travel the VET pathway. On the international front, it was a busy year for me as I travelled to India, Singapore, Sri Lanka and Indonesia to discuss collaboration in skills and training. I had some very productive discussions with my counterparts and I look forward to working with these countries to address skilling and workforce challenges into the future. We also recognise the importance of ensuring people have the foundation skills necessary to start a vocational pathway. That’s why in July, we announced the new list of local organisations to deliver vital English language, literacy and numeracy learning programs through the Adult English Migrant Program and Skills for Education and Employment Program. I want to thank everyone for working constructively and productively with my Department to navigate your way through the changes. 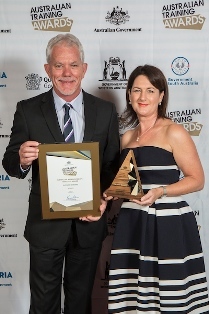 We ended the year on a few high notes, with the Australian Training Awards held at the National Convention Centre in Canberra in November. The event, in its 24th year, brought together finalists from across all fields of VET—from apprentices, trainees and students to teachers, employers and training providers—to recognise their achievements. On the night of the awards, we launched the real skills for real careers initiative to champion the benefits of VET and Australian Apprenticeships, leading to successful, meaningful and professional careers with great salaries and outstanding career prospects. Real skills for real careers features people sharing their personal VET success stories in videos, podcasts, brochures, posters and across social media. I encourage all VET stakeholders to unite in our shared responsibility to help all Australians, particularly the next generation, understand VET is a personally, professionally and financially rewarding career choice. And finally, the year was topped off by the inaugural meeting of 140 members of the VET Alumni in Canberra on 26 and 27 November. The workshop was a great event and an opportunity for members to learn about the real skills for real careers and network with their fellow alumni. It’s been a busy and rewarding year. I’d like to thank you all for your contributions, and wish you and your loved ones all the best for 2018. Following the launch of the VET Information Strategy on 23 November by the Hon Karen Andrews, Assistant Minister for Vocational Education and Skills, there will be a number of changes to the way the Department of Education and Training communicates with the public and our sector about VET. One of these initiatives is the enhancement of myskills.gov.au to act as a first-stop-shop for VET sector information, including the introduction of a ‘News Feed’ section, where all approved sector news items will be uploaded as they are sent through, to ensure we are keeping our audience up to date with the latest developments. In conjunction with the 'News Feed' on the My Skills website, we will also be reformatting the Skills@Work e-newsletter. It will now act as a summary of the News Feed with brief introductions to each article, and a link directing the reader to the full article on the My Skills website. This will allow our subscribers to access information most relevant to them, with ease and speed. To ring in the New Year, our first release of the ‘new look’ Skills@Work will be rolled out in January 2018. We look forward to sharing this innovative design with you. May we take this opportunity to thank you for your support of our national newsletter and wish you a safe and happy 2018. 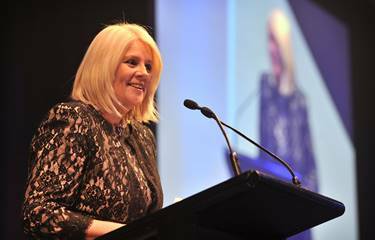 The Hon Karen Andrews MP, Assistant Minister for Vocational Education and Skills, has called on the sector to unite and implement real skills for real careers; highlighting the opportunities of VET and Australian Apprenticeships. Real skills for real careers is the purpose statement and unifying tagline reflecting VET being industry led, and in line with its mission to deliver nationally recognised qualifications with outstanding employment prospects steered by industry specialists. To support this approach, a series of real skills for real careers communications have been, and will continue to be, developed and shared across the sector to challenge public perceptions of VET through an emotive narrative elevating this equal choice career pathway. Real skills for real careers communications feature real people with real VET success stories in videos, podcasts, brochures, posters and across social media, delivering key messages that showcase the many ways to succeed through a vocational education and training pathway. These communication resources are free and available to be downloaded from a dedicated resources page hosted by My Skills, with the page regularly being updated with new materials over the coming months. 2018 Australian Training Awards nominations now open! For the full profiles of the 2017 Australian Training Awards winners visit the website. A new National VET Data Policy was agreed by Skills Ministers at the COAG Industry and Skills Council meeting on Friday 24 November. Skills Ministers are committed to progressing reforms that help students make better decisions and simplify regulation for RTOs. This Policy sets the framework for other data reforms that will be progressed through the Performance Information for VET (PIVET) initiative, which will transform the data available to consumers, governments and regulators over the next three years. The new Policy is the result of a sector-wide public consultation process, and closes information gaps by reducing reporting exemptions. It also updates data use information, and consolidates VET data collection and use of VET information into a single reference document. RTOs delivering VET courses in a single day or less are reminded the temporary exemption allowing the issue of a VET qualification or statement of attainment to a student who has not provided their Unique Student Identifier will lapse on 31 December 2017, as scheduled. The projects listed below have moved to the ‘consultation’ stage, which means draft qualifications; skill sets and units of competency are now available for review and feedback. Feedback is being sought on whether the draft documents accurately describe all job functions and that they reflect the current skills standards and practices of industry. To provide your feedback on the draft units, skill sets and qualifications, please visit the project webpages by following the links below. The National Centre for Vocational Education and Research (NCVER) are thrilled to announce the first international 'No Frills' conference. In 2018, the 27th National Vocational Education and Training Research Conference 'No Frills' will be co-hosted with New Zealand partners, Ako Aotearoa and the Industry Training Federation. Save the date and join NCVER in Sydney on Wednesday 15 to Friday 17 August 2018. By partnering with New Zealand, next year's conference will provide an excellent opportunity to highlight international evidence for bench-marking policy best practice. The 2018 conference program will focus on Skills for a global future: working and learning together. For more information on who should attend, please visit the NCVER website. VET Alumni members comprises Australia’s best VET students, businesses, teachers and registered training organisations. They know first-hand the value in investing in VET as either a career, to grow their business or to enhance their training services. Visit VET Alumni to find out more. With thousands of diverse choices from information technology to avionics and electrotechnology, nursing, hairdressing, community services or the dramatic arts, vocational education and training (VET), including Australian Apprenticeships, has the statistics to prove it delivers outstanding employment outcomes for its graduates. Determined to set a positive example for her three younger sisters, Gemma Hartwig completed her mechanical engineering apprenticeship with Otswald Bros. This experience helped her to develop her teamwork and communication skills to better understand the nuances of successful leadership. Now employed by Diesel Care, Gemma encourages others—especially women—to consider an apprenticeship pathway. 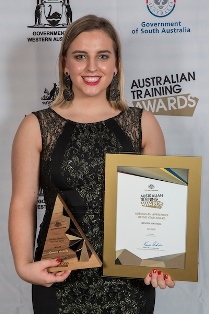 To view Gemma's profile, visit the Australian Training Awards website. SA Power Networks has a rich history of training apprentices, providing employment and ensuring homes and businesses function effectively in South Australia. The business delivers electricity to around 845 000 customers through a network which includes 88 000 kilometres of powerlines, 400 substations and thousands of poles and transformers. SA Power Networks has trained hundreds of apprentices in technical skills and safety. They deliver training for the 2200 employees and numerous contractors within the electricity supply industry. To view SA Power Network's profile, visit the Australian Training Awards website. Find information about upcoming VET related events, including conferences, career expos, workshops and other activities by visiting the Calendar of Events. A referral service for the training sector. If you would like to provide feedback, supply an article for inclusion in the next edition or join our list of subscribers, please email skillsatwork@education.gov.au. The next edition will be published in January 2018.